Short Description: Travel back in time and see what Lisbon was like before the Earthquake of 1755. 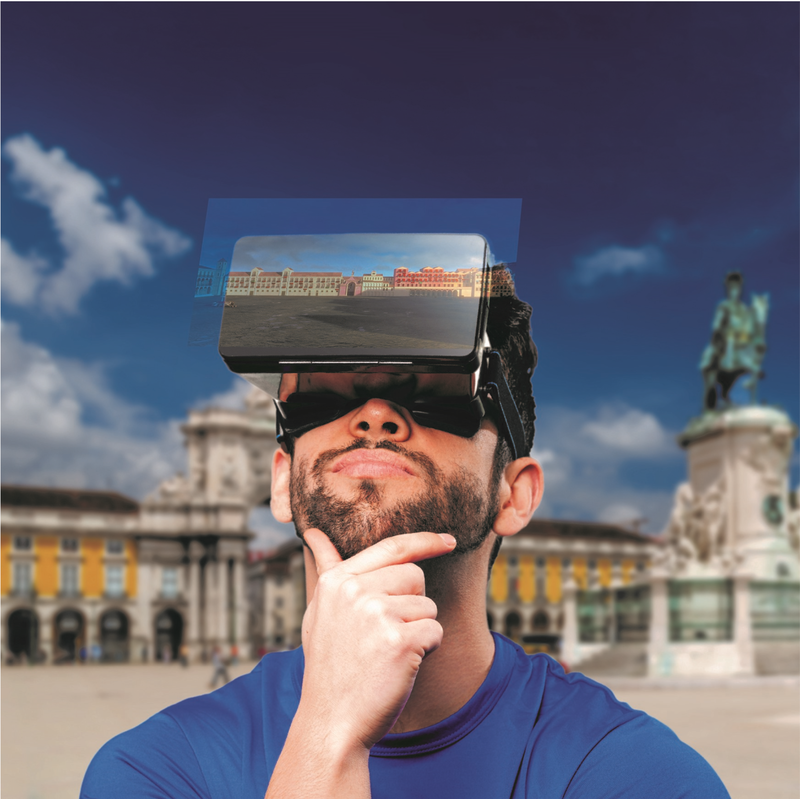 With our Virtual Reality Headsets you will have an immersive experience and receive expert commentary from a live guide on a 2 to 3 hour walking tour of the city. Long Description: Join us on a 3 hour small group walking tour with an immersive time-travel experience. On our special Virtual Reality Tour, you will not just imagine what Lisbon was like before the 1755 earthquake, you will see it with your own eyes! You will begin your tour with one of our expert guides in front of the Ruined Carmo Convent, one of the greatest reminders of the disaster that destroyed the city. Then stroll the streets of historical Lisbon, stopping at important locations, like Rossio Square and Praça do Comércio. Along each of the major stops, you will experience what they were like in the past thanks to the use of VR technology. Besides the use of our Virtual Reality headsets, detailed illustrations and expert commentary will also be provided/given to help bring life into History and paint a picture of Lisbon in the past. You will also receive a general introduction to Lisbon Tour and learn about the Marquis of Pombal, and how his vision helped rebuild Lisbon and shape it into a modern city.